Create a Gingerbread Photo Book in Minutes! We found the cutest “Gingerbread” themed pages that you can use for an online or coffee table photobook created by you. 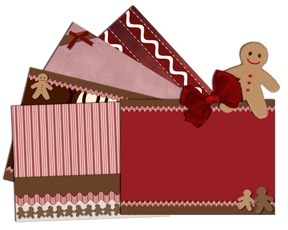 These Gingerbread themed pages even come with red bows and darling little Gingerbread kids. If your looking for a fun and creative projective to use up all your Christmas pictures then create a coffee table photobook and just think how cool it will be to have it sitting out on your coffee table just in time for the holidays when all your friends and families come over. Visit here for details.